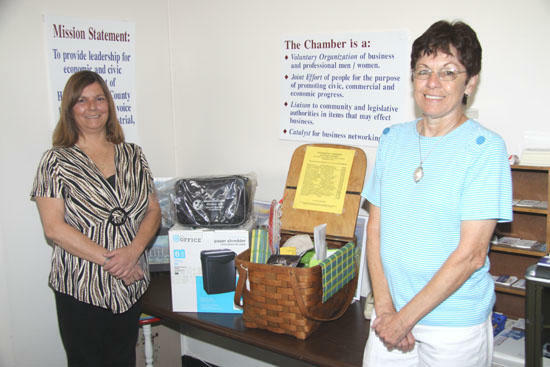 Rita Williamson, left, is presented the Business Basket she won at Good Ole Days by Cannon County Chamber Services Coordinator Carolyn Motley. Rita Williamson of Bradyville spent $2 to enter a drawing during the Good Ole Days of Cannon County festival last weekend — and the investment paid off handsomely. Williamson was the winner of the Cannon County Chamber of Commerce Business Basket which was given to the winner of the drawing at the festival. Approximately 75 people entered the contest. The total value of the contents of the basket is $548. 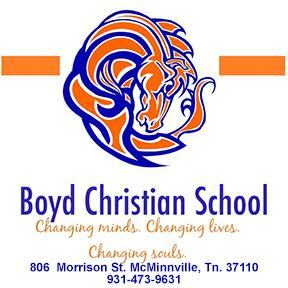 Chamber of Commerce members who donated items for the Business Basket were: Joe's Place, gift certificate, $10; Jennings Jewelers, gift certificate, $25; Crane Interiors, gift certificate to Piggly Wiggly, $100; Vivian's House of Beauty, gift certificate, $35; Gina's Boutique, $50 gift certificate and $45 antique basket; Higgins Enterprises, two passes to Moon Lite Drive In ($12) and car-wash token ($6); Middle Tennessee Natural Gas, first-aid kit, $50; Sue Patrick CPA, MP3 Player, $25; First National Bank, four state quarters, $20; FirstBank, variety of items, $10; Regions Bank, portfolio and cup, $10; Stones River Hospital, paper shredder, $35; Cannon Courier, 12-month subscription, $21; Arts Center of Cannon County, two play passes, $24; Cannon County Animal Clinic, Angela Mullinax Dog Grooming, $20; Old Feed Store Antique Mall, gift certificate, $25; Central High School Christmas Ornament, $5; Table Cloth, Place Mats, Cups, Plates, $15; Briar Rose, duck, $5. "I want to give a special thank you to all the merchants for the donation of items in my basket," Williamson said. "I can surely use everything. Thank you all."